We have a proven track record in undertaking innovative catchment wide assessments. We have the expertise and resources to carry out strategic level assessments which consider the wider hydrological catchment. We also have experience of working alongside our clients in an advisory or review capacity which assists in keeping catchment knowledge within the Local Lead Flood Authority (LLFA). We operate a range of hydraulic modelling software platforms including Innovyze Infoworks ICM and Flood Modeller / Tuflow. This flexibility allows us to develop existing models and select the most appropriate software platform based on the desired project outcomes. We focus on delivering fit-for-purpose hydraulic models that allow prediction of key flooding mechanisms in combination, with the key test that they are suitably reliable to inform realistic and practicable flood alleviation strategies. We are at the forefront of applying new and innovative thinking and have produced Fact Sheets which demonstrate how flows can be managed differently to provide greater benefit in flood risk areas. We undertake detailed data collation and hydraulic modelling for CDAs to ensure that the flood mechanism is correctly identified and flood risk is properly understood. We will assist LLFAs in setting criteria which can be enforced through planning to reduce flood risks within CDAs as part for re-development, rather than there being no net impact. 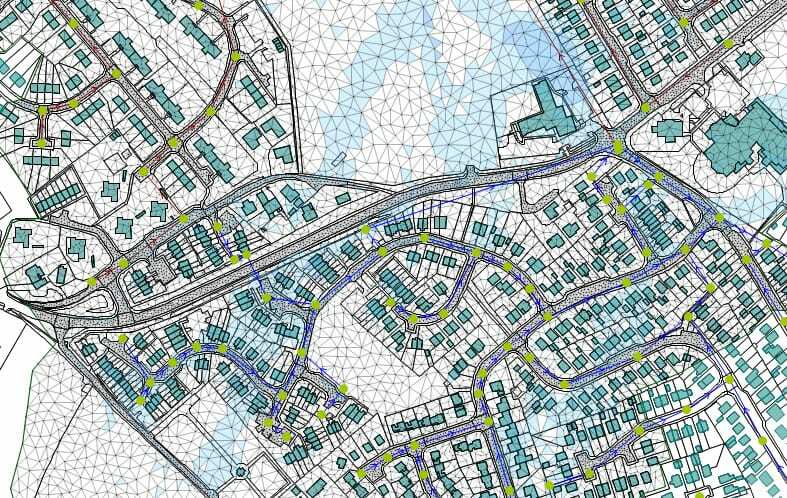 We have expertise in developing Integrated Urban Drainage (IUD) models which are fundamental in understanding the complex nature of flood mechanisms at catchment scale particularly where different sources of flood act in combination. Ensuring that the model replicates flow direction, source of flow and how long surface water flooding occurs will provide invaluable confidence in model predictions and enable the development of robust alleviation options. We understand the importance of community engagement and working with RMAs in obtaining flood accounts and records, which form the basis of establishing a validated model. It is vital that the level of confidence in model prediction is understood prior to making significant capital investment. On previous projects, we have worked with the Water Authority to gather information including existing hydraulic sewerage models which have been vital in improving our understanding of the catchment. In addition to traditional alleviation measures we consider SuDS, Green Infrastructure and NFM approaches to reduce the flow rate and volume reaching the flood areas. We will prepare annualised damage estimates using the Multi Coloured Manual (MCM), which are weighed up against option cost estimates. We identify cost effective options which increase the likelihood of FDGiA funding. A Strategic Flood Risk Assessment (SFRA) underpins strategic planning, flood resilience measures, communication, and emergency planning. Development often imposes new land uses on an area, which in turn can increase the surface water runoff during a storm event. Therefore, the assessment and limitation of surface water runoff is key aspect of flooding mitigation for new developments. Reductions in runoff from brownfield sites provide betterment and reduces the ‘fast response’ urban runoff into watercourses. SFRAs are a key tool within the planning process and set the criteria for the submission of planning applications in the future and for guiding subsequent development control decisions. 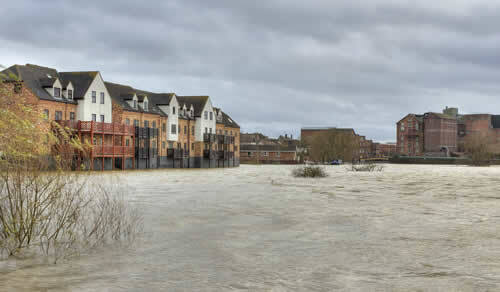 These documents are continually being updated and informed by greater levels of detailed modelled and new approaches to the management of flood risk. McCloys can provide local authorities with appropriate and expert advice regarding the scope and detail of works required for a SFRA and subsequent updates. We have experience in auditing existing data sets and hydraulic models and define confidence levels for existing modelling and mapping outputs. We can advise how the SFRA could be used to inform the emergency planning strategy for dealing with evacuation and contingency planning during periods of extreme flooding. LLFAs are responsible for developing and applying their local strategy, and other risk management authorities must act consistently with the local strategy in respect to FCERM. The other partners in delivering a local strategy will include district authorities, IDBs, water companies and highways authorities. We can assist RMAs in compiling and peer reviewing the LFRMS for robustness in its application. Having wide ranging experience cross the UK we bring different experiences from elsewhere to the overall benefit of the project.